Constructed with stainless steel, cast iron and durable thermoplastic, the Little Giant WGFP-100 Water Feature Pump meets the rigorous demands of the most impressive water features. This pump offers single mechanical & single radial-lip shaft seals. Discover why Little Giant pond pumps are some of the best products on the market. 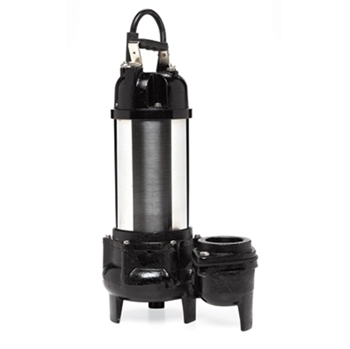 Pond enthusiasts everywhere buy from this trusted brand, because they consistently receive quality products that last, Purchase one of these 6,400 GPH Little Giant pond pumps, and start creating a stand out water feature in your pond today! Don't forget to check out our complete selection of Little Giant pond pumps and supplies to find more great products for your backyard water garden. Dimensions: 17" x 8 1/4" x 30 1/4"